These outboards maybe small in size, but they are big on advanced design ideas, innovative features and big engines performance. 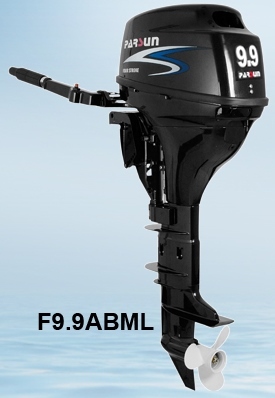 Less weight and more compact make this outboard motor easier to carry and transport. High thrust has all the features you are looking for in a tolling or auxiliary power kicker unit. So load up your duck boat or small fishing boat with family, friends, and gear and get out on the water for a day filled with fun and memories.